If you have Minecraft lovers in your house, they are probably on the X-box or computer more than you would like. 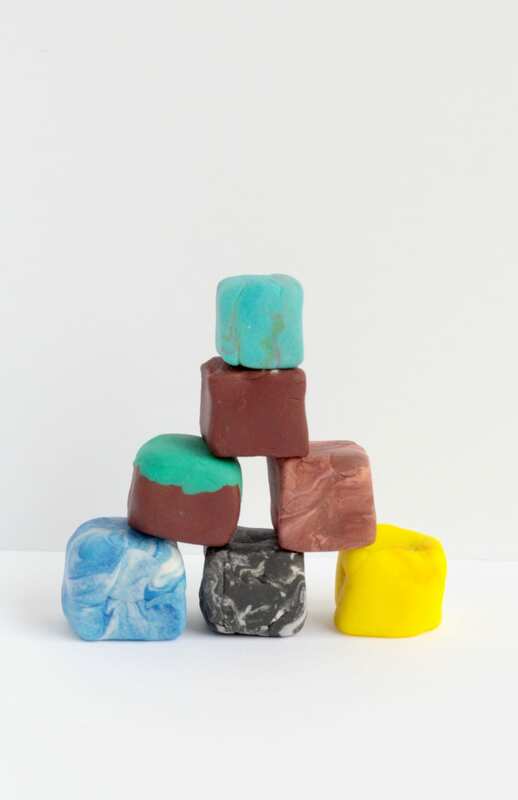 But, you can entice your little Minecraft-lovers away from the game by showing them how they can create their very own Minecraft blocks from playdough! These little blocks are so easy to make, and the possibilities of color mixing are endless! Your kids will have a blast creating their very own Minecraft block village, farms, and mines using the blocks they make from playdough. 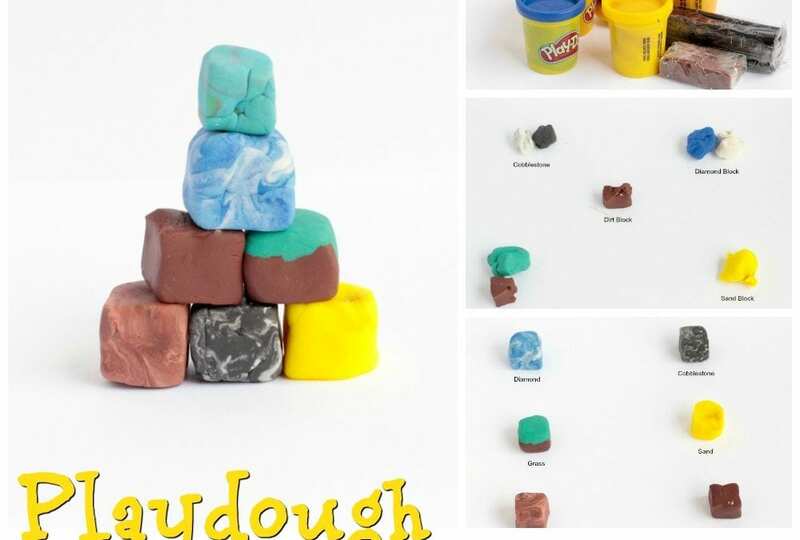 There is so much you can do with these adorable Minecraft playdough blocks! 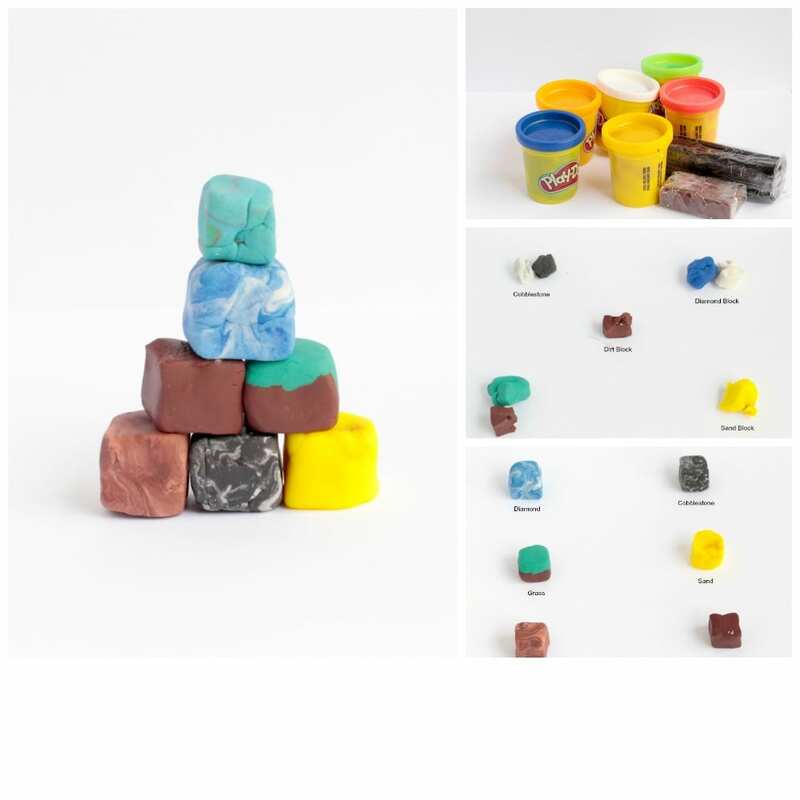 Each regular-sized tub of playdough can make about 20-30 blocks, depending on how large or small you make them, which means that you can build an entire Minecraft playdough village with just a few cans of playdough. For another twist, make the blocks out of polymer clay and make your blocks permanent for play you can return to over and over. 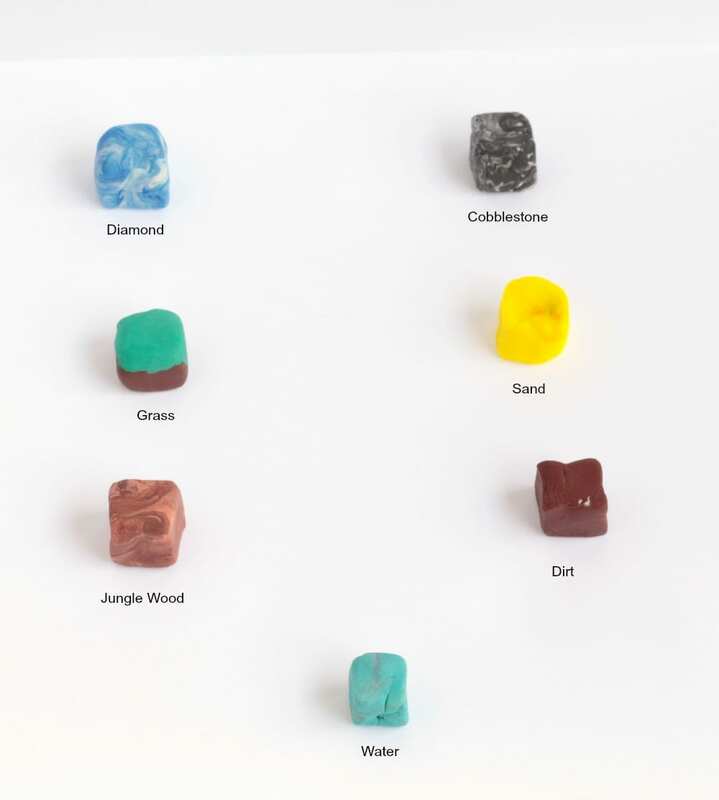 We decided to make the essential Minecraft blocks. We sort of used the Minecraft table of elements as as guide for our blocks. None of our blocks were exactly like the real thing, but they were close enough for any Minecraft-lover to identify the block type. If a block has a speckled appearance, we used two colors to make it. So the jungle wood was a mix of dark and light brown. The diamond block was a mix of white and blue. Use this chart as a reference when making your blocks. Here are all the blocks we made in their full glory! 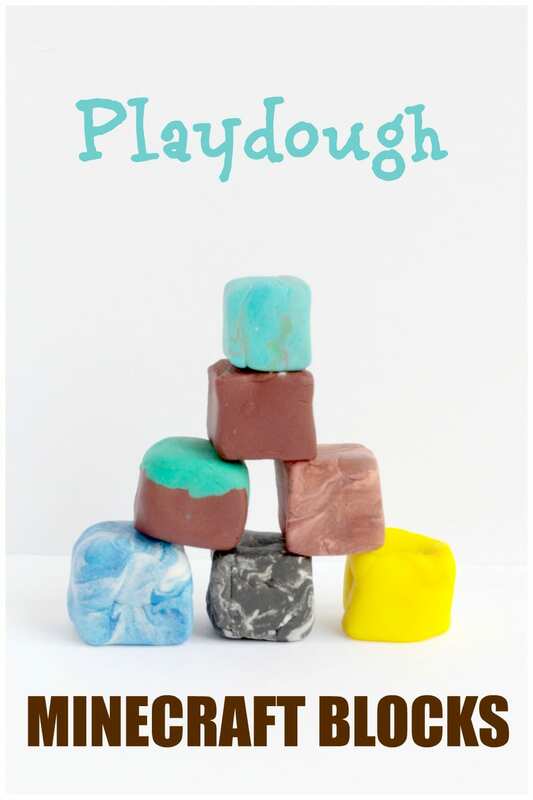 It was such a blast to make these super-fun Minecraft playdough blocks. My kids spent most of an afternoon creating their blocks and then building with them. Even my preschooler was able to make her own version of the blocks. The water block was completely her design.